We formed Syncapay, Inc. with a vision to acquire a family of high growth, leading edge Payments companies with disruptive technology and solutions, leveraging the many synergies between them. With our heritage and expertise in Payments with companies such as Parago/Blackhawk, Ecount/Citi Prepaid, American Express, AvidXchange, Flywire, iPay and more, we knew there was an opportunity to create something substantial and meaningful. Our focus is on companies who provide, facilitate or issue Payments to consumers, employees or other businesses in growth markets around the world. In late 2017, we made our first acquisition - Swift Prepaid Solutions. Our team is comprised of executives and investors with several decades of Payments and Disbursements experience. We leverage our knowledge and networks to identify acquisition targets and will use our passion and expertise to support the success of the companies we partner with. Prior to forming Syncapay, Juli was the President & CEO of Parago, Inc. – a tech enabled marketing services/payments company that she co-founded in 1999 and sold to Blackhawk Network Holdings, Inc. in 2014. Since 2014, Juli has been performing advisory services to companies and to private equity firms. She has served as Audit Chairman and board member at Cardtronics PLC since 2011. Juli was also a founding member of the Network Branded Prepaid Card Association and remained on the board until 2013. Matt is a Managing Director at Bain Capital Ventures (BCV). He joined in 2012 and focuses on investments in financial technology / services and payment companies. He sees a huge amount of revenue, profit and market cap shifting from regulated financial institutions to entrepreneur-led insurgents across payments, lending, capital markets and insurance. Prior to BCV, Matt co-founded and ran Village Ventures, from which he led investments in BlueTarp, Dwolla, iSend, OnDeck, Simple and TxVia, among others. At BCV, selected investments include AvidXchange, Billtrust, Chrome River, Flywire, Passport and Syncapay. Earlier in his career, Matt worked in the private equity group at Bain Capital. Andy is co-founder and Managing Partner at MissionOG where he focuses on investments in financial services & payments, data platforms and software businesses. Current and prior investments include Behalf, Deko, DemystData, FactorTrust, GAN Integrity, Revolution Credit, Solovis, and Zibby. Previously, Andy co-founded Relay Network, a mobile communications company; was Group Head of Sales and Corporate Development for Citi Prepaid Services; and was a founding team member of Ecount (acquired by Citi), a pioneer and leader in the prepaid card industry. Prior to Ecount, Andy spent eight years in investment management. Prior to joining Syncapay, Ed served for over 12 years as General Counsel of Parago, Inc. While at Parago, Ed was responsible for all legal matters, including finance and acquisition agreements and compliance with all applicable payments regulations. Following Parago’s sale to Blackhawk Network Holdings, Inc., Ed served for 2 years as General Counsel and SVP of Paycor, Inc., a provider of human capital management solutions leveraging a cloud-based SaaS platform. Ed began his career with Locke Lord LLP (formerly Locke Liddell & Sapp). Ed is a licensed patent attorney and also focuses on information security and data privacy. Todd co-founded Silversmith Capital Partners, a growth equity firm managing $1.1 billion, in 2015. At Silversmith, Todd focuses on investments in SaaS & Information Services, including vertical market SaaS and specialty data, financial technology and risk and compliance-based models. 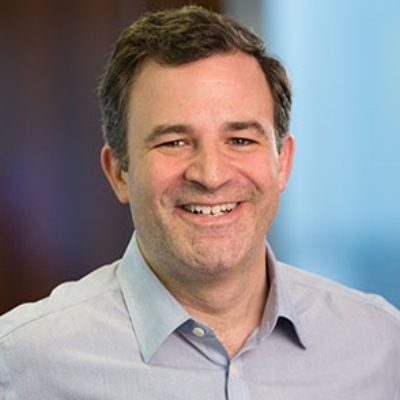 Todd has spent over 15 years as a growth equity investor prior to co-founding Silversmith Capital Partners at Bain Capital and Accel Partners where he led or co-led investments in SurveyMonkey, Dealer.com, Appriss, iPay Technologies, Yapstone and Archer Technologies. At Silversmith, in addition to Swift Todd sits on the board of Digital Map Technologies and ActiveCampaign. After an early career in the textile industry, Phillip moved to the financial services, starting at Chase Manhattan Bank where he led their merchant services business. He then spent 18 years in leadership roles at American Express, retiring in 1998 as President of the Consumer Card Group and Chairman of American Express Centurion Bank, and being credited with turning around the American Express core consumer card business. Since 1999 he has focused on investing in, and developing, Financial Services, FinTech and Data Analytics companies globally, often serving on the board of directors or as a mentor and adviser to the CEO and management team. His portfolio has included investments in North America, Europe and Asia. His board roles today include Accion, Behalf, Betterment, Cross River, Fundera, Flywire, Relay Network, TravelPerk, and Yoyo Wallet. DALLAS (May 2, 2018) — Syncapay, a new holding company focused on high-potential payments solutions has launched with the backing of Bain Capital Ventures, Silversmith Capital Partners, MissionOG, Nyca Partners and Juli Spottiswood as chairman and CEO. The organization will focus on acquiring disruptive financial technology innovators that can collaboratively share centralized, non-core services and best practices and capture greater market share. Syncapay’s first acquisition, Swift Prepaid Solutions, was made late last year. Syncapay plans to acquire payments companies with innovative or emerging technology and solutions and leverage the many synergies between them to accelerate growth. The investment focus is on companies that provide, facilitate or issue B2B and B2C payments in growth markets around the world. Syncapay will house an array of payments brands to serve multiple needs. “As the payments industry matures, we are finding that there are a meaningful number of exciting, disruptive companies looking for a structure within which they can get some liquidity, as well as additional resources to take the next step in their evolution. Syncapay will be that home for a set of these leading players,” said Matt Harris, managing director, Bain Capital Ventures. "Syncapay’s target market remains highly fragmented, with a continued reliance on largely stagnant legacy payment providers,” said Andy Newcomb, managing partner, MissionOG. “Syncapay is pursuing a unique and timely strategy to identify and bring together the right components and solutions that can deliver tremendous collective value to enterprise clients and their customers." The Syncapay team is comprised of operations-focused entrepreneurs, investors and subject matter experts from some of the payments industry’s most successful ventures. If you're innovating in the Payment and Disbursements industry, we'd love to hear from you.